A Peridot with a color so rare that most people don’t even know it exists! Vintage, rare, collectible and a profound beauty! Natural and untreated Burma Peridot – the superior alternative gemstone to Natural Emerald – The gem of the planet of Finance – Mercury! 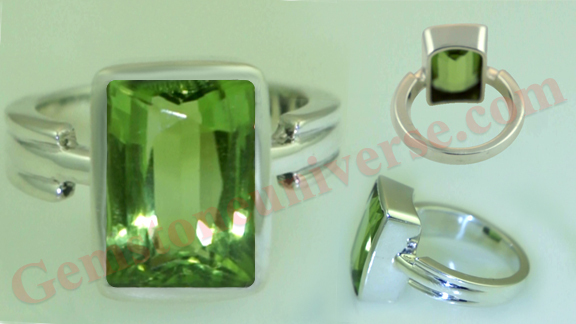 Comments A clear Peridot with a color so rare that most people don’t even know they exist! Burma is always associated with rubies, but the Burmese mines have also given the world very beautiful Peridots! And the rarity on these beauties makes them not only hard to own but extremely hard to see! And the supply of these Peridots has almost ceased after the 1960s, thus giving them Vintage status! With such rarity, and a late summer grass green color, this fully natural and untreated Burmese Peridot is also filled with the best of the sattvik and jyotish powers of the planet of Finance – Mercury! This eye- clean gemstone with a brilliant lustre and sensational scintillation has made a Superior Jyotish talisman for the best of the blessings of Mercury when set in this sterling silver ring! We were unable to catch the beauty of this one on the Photograph so we shot the video instead. Indraneelam-the powerful Gemstone of Powerful Saturn! Behold a miracle of Nature! At almost 6 carats this is rare Rainbow Blue fully natural and untreated Ceylon Blue Sapphire. 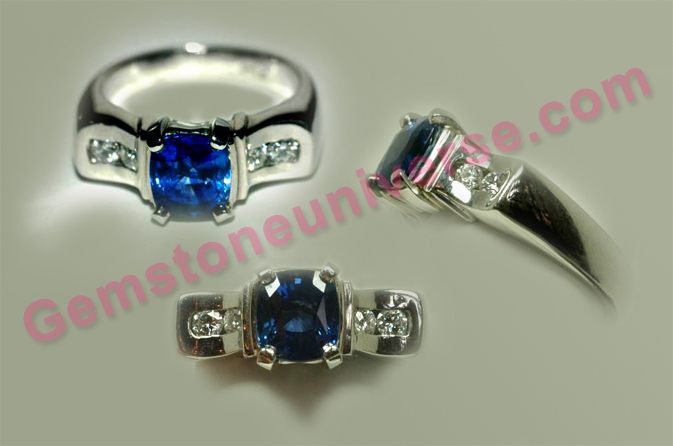 Comments A Natural and untreated Ceylon Blue Sapphire so fine and opulent with breathtaking beauty! A sight that leaves everyone speechless! As the light source changes the color of this opulent almost 6-carat beauty changes from blue to violet! A Sapphire so rare that such gems are a once in a lifetime, collectible delight! A Sattvik and extremely powerful Jyotish gemstone with the mighty powers of the mighty planet – Saturn! Has made a fabulous talisman when set in this sterling silver pendant with the anicent symbols of Saturn on the hook! This particular Blue Sapphire is known in the Shastras-The sacred texts as Indraneelam and has a blue violet shade similar as in the rainbow. This miracle of nature has been made available to a very special patron! Made available as per the customized requests process. To read more about customized requests please click here. 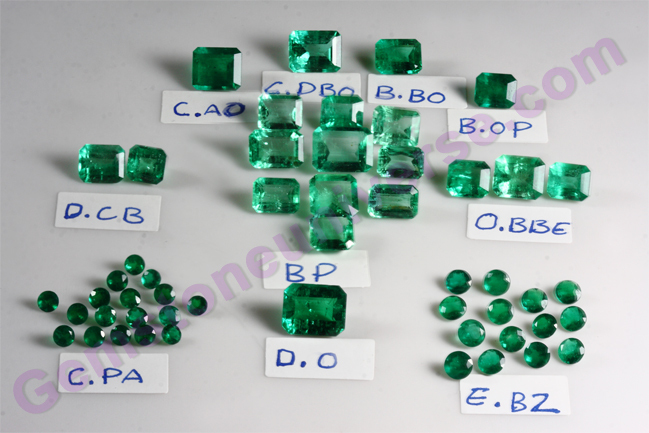 Natural Zambian Emerald 2.50-carats-Check Video for Minimum acceptable clarity for Jyotish purposes. Metal for Gold ring: 22K Hallmarked Gold. 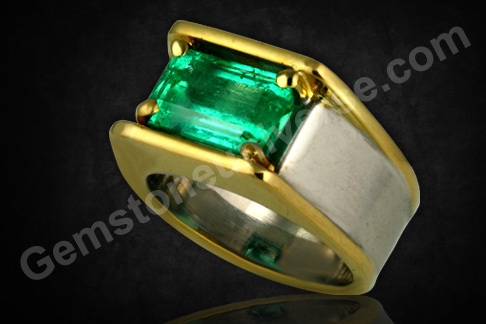 This is a prime example of what exactly is a Jyotish Quality Emerald. Have a look for yourself at the picture and the video. When Emeralds of this lot were featured on the website we said they have a very special color. 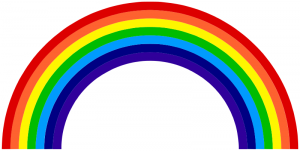 Here it is for you, and those got took these are very fortunate people. Coming from Zambia view the crystal and the clarity so much full of Life and it leaves your flummoxed. Fully Natural, check the video to see clarity, lustre and the lovely color!. There are gems that deliver results. 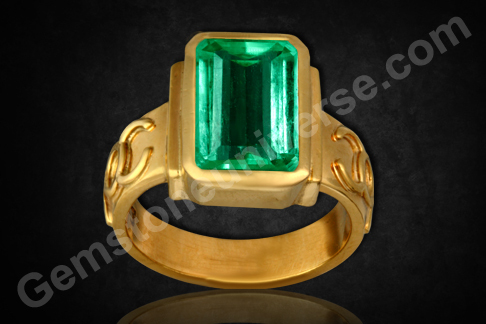 Comments A rare and collectible fully natural and unenhanced Colombian Emerald with entralling deep rich emerald green color, perfect cut, fabulous clarity and a magnificent size, making it a 4cs masterpiece! With the power to transform and enrich with the best of the gifts of Mercury, this Sattvik gemstone with the most powerful Jyotish powers is set in a classy two-tone white and yellow gold ring that was especially designed by our in house talisman designer! The talisman is an astistic masterpiece! A talisman that is both a magificent piece of Jewelry and a powerful Mercury talisman! 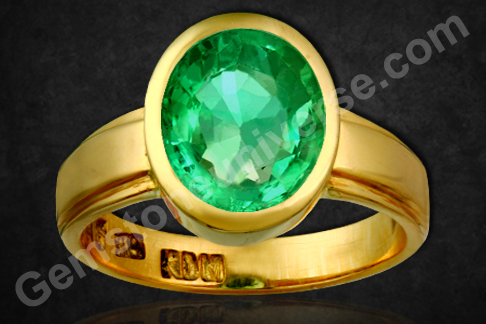 Natural Emerald – the gem for Mercury! Made for a special patron against customized request. For customized requests please go here. Power, Majestic Style, leadership and courage-Essential Sun attributes with this Unheated Tanzanian Ruby- Savour the red! Natural Unheated Tanzanian ruby for Gorgeous Sun Energies! Comments An exotic beauty that is nothing short of a miracle! Has the very rare Imperial Pigeon blood red colour that is even more pleasing than the famous Burmese color! And originating from Tanzania is what makes it even more exciting! This fully natural and totally untreated Ruby is filled with potent Satvik energies with powerful Jyotish qualities! It had such a miraculous color and energy that it was very difficult to picture and then record the video. 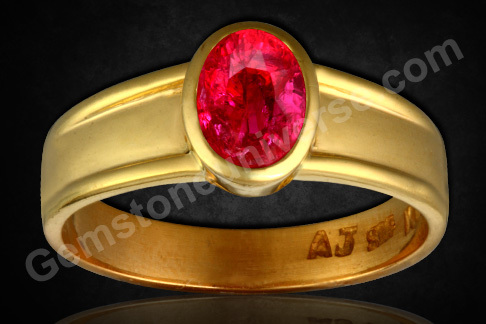 Beautiful Unheated and untreated nearly eye clean Tanzania Ruby set in 22 ct Gold ring and making a talisman that will give the best results in enhancing the power of Lord Surya/ Sun in the chart! Is it of the recommended carat weight?- Yes it falls in the range of recommendation after analysis. You need to ask yourself the same questions regarding your gem. 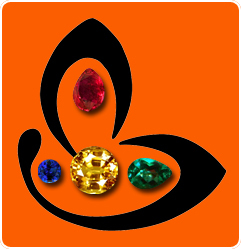 If all answers are Yes-You are wearing a Jyotish Quality Gemstone. 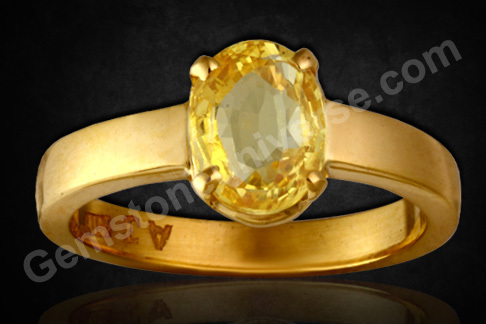 Truth, Nobility, Good fortune with this flawless unheated Ceylon Yellow Sapphire! 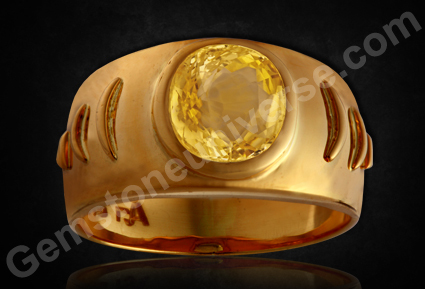 Enjoy the Rich Yellow Color and the zenith of Jyotish Gemstones. Gemstoneuniverse.com Table of Yellow Sapphire Gem Facts. Comments A fully natural, eye clean, unheated Gemstone that re affirms what we say: Life Changing Gemstones choose the individual.All Natural Yellow Sapphire with no thermal enhancement, eye clean clarity, Top color, fashioned into an Oval representing the Zenith of Jyotish Quality Gemstones. One in a Million Gems. We consider OUR Good fortune to have made this talisman and this Thursday shall hold a special place in our heart. Comments The single outstanding factor in this cushion cut Ceylon Blue Sapphire from Ratnapura is its color. Magnificent Royal Blue Color with the best tone and saturation. The color and the lack of treatment make it priceless! A spectacular talisman of immense beauty and power! A gem that is flawless in a setting that is empowering, The accent diamonds, add to the character of the Blue Sapphire ring. This Sattvik gemstone is from Ceylon and is Natural and untreated! With its heavenly colour that sparkles and gets accentuated with the illumination of the Diamonds! 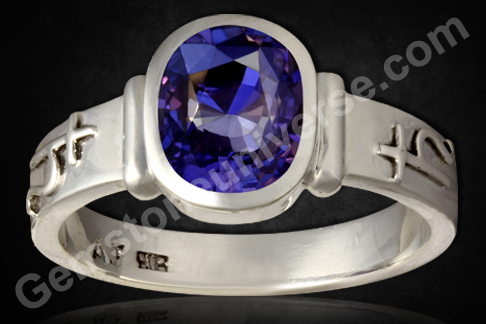 Set in a magnificent sterling silver ring and making an exceptionally powerful Jyotish talisman! Natural Blue Sapphire – the gem for Saturn! Made for a patron against customized request. For customized requests please go here. Note: Thank You dear patron for your gracious testimonial. We appreciate your patience and your confidence.